Descartes, letter to Balzac, 5th May 1631. 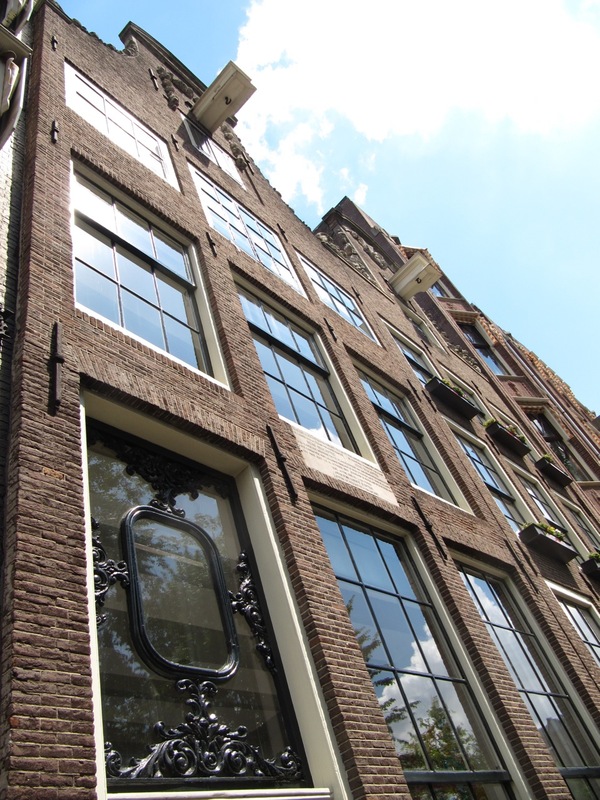 It’s not hard to see why Descartes loved Amsterdam, or understand what it offered him. 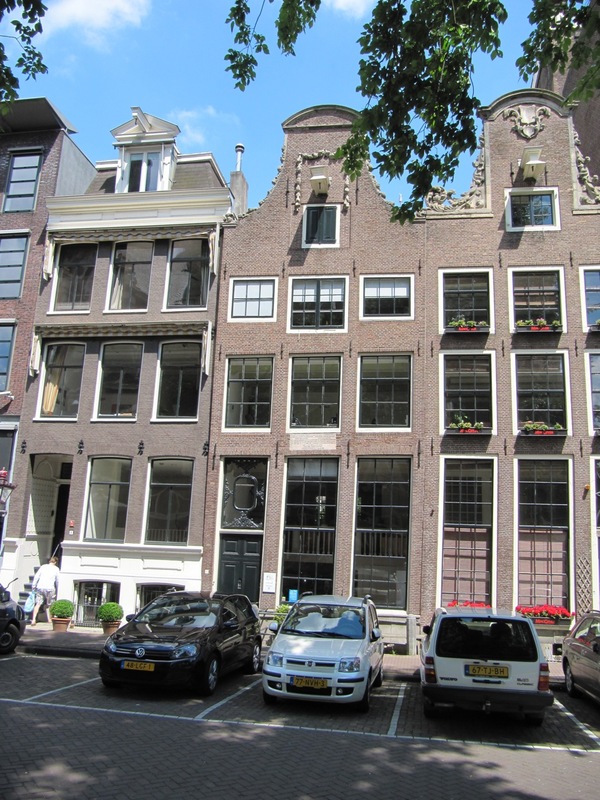 Amsterdam was at the hub of world trade at the time, and a centre for publishing and book selling. The city offered much more than this – a kind of sanctuary too, that comes from being in a crowd. Descartes could walk about the city unimpeded; no-one much noticed the business of this Frenchman, or cared about what had brought him so far north from his homeland. He could live without being noticed by a soul. It suited him. The country provided refuge of sorts too. When Descartes returns to Amsterdam in 1634, his mood is quite different. Galileo has been arrested by the Roman Inquisition, and all copies of his work, World System, which proposed a heliocentric model of the universe, ordered to be burned. Descartes, on learning of Galileo’s arrest, decides to suppress his work, which he had been on the point of publishing. In February, he writes, ‘I seek only repose and peace of mind’. Then, in April, ‘I desire to live in peace and to continue the life I have begun under the motto “to live well you must live unseen”. And about the principles of his philosophy, his treatise, he wonders if it is not best to keep quiet about it from now on. All Descartes had worked towards, he puts to one side, rather than risk confrontation with the Church. Look what happened to Galileo, he must have thought. 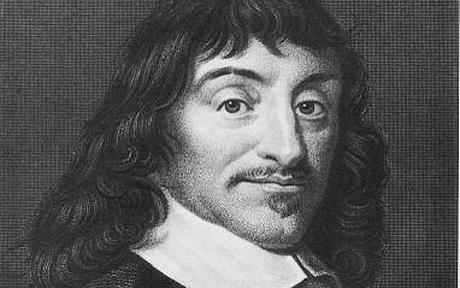 Whilst not expecting similar – Descartes lived in a comparatively tolerant country – he was nonetheless ambitious for his work. I think he understood full well that if he was to succeed in finding an audience he would need the right sponsors. Although he may not have felt directly threatened by the Inquisition, the Galileo affair was a reminder to Descartes how church authority could condemn a work absolutely. That was as true in the Dutch Republic, as in Italy. This is the Descartes who meets Helena, a Dutch maid, at 6 Westermarkt, where he lodges with English bookseller, Thomas Sergeant. What happens to him in the months that follow? Apart from a minor run-in with Isaac Beeckman, he seems to go quiet. He could live without being noticed. But that did not mean he wanted to be alone. Westermarkt, once the site of a market, and now dominated by Westerkerk cathedral, is tucked around the corner from Prinsengracht. 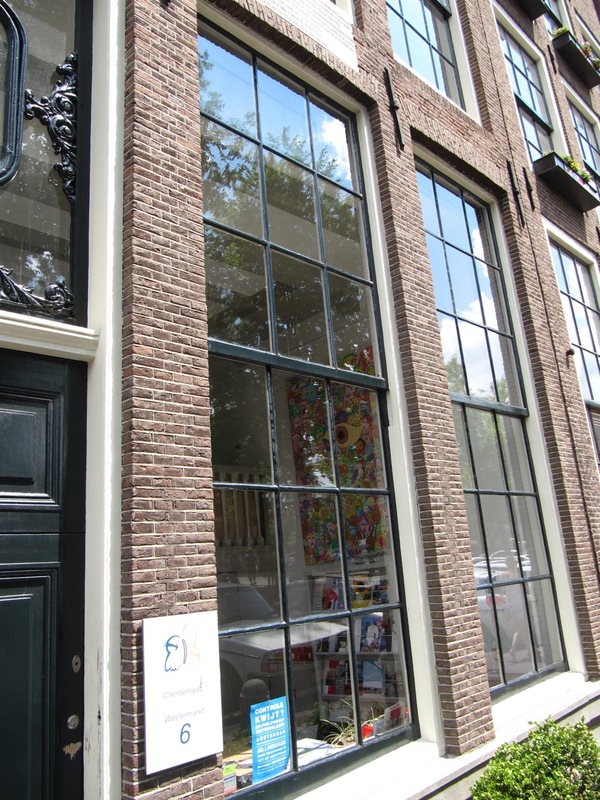 If you’ve been to Amsterdam, and queued to visit the Anne Frank museum, you’ve probably (unwittingly) stood not far from Thomas Sergeant’s unassuming house, where Descartes lodged. 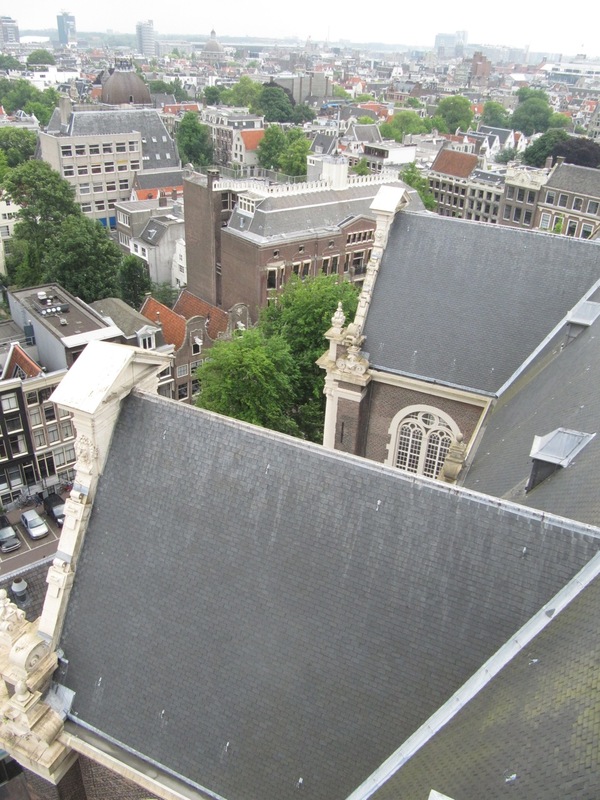 The two red roofs of Westermarkt 6 & 8, towered over by Westerkerk. 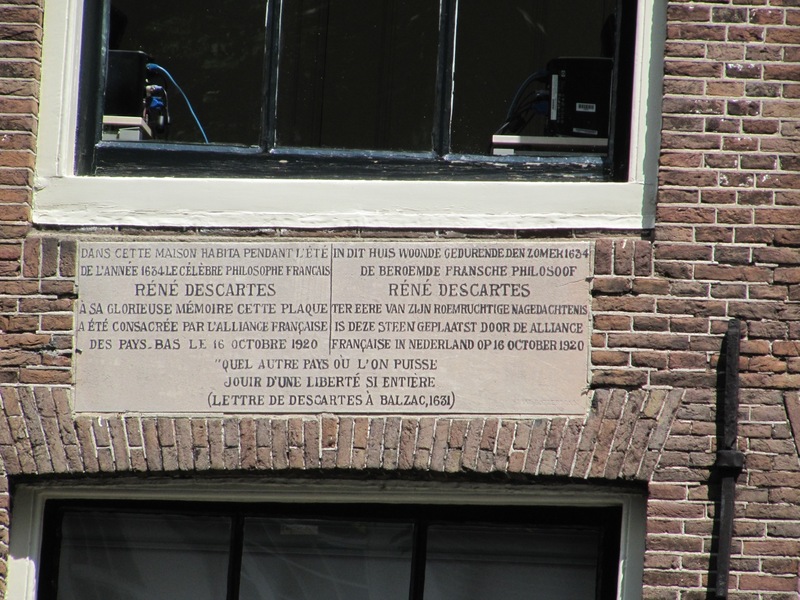 Westermarkt 6, Amsterdam, (in the centre), where Descartes lodged in 1634. 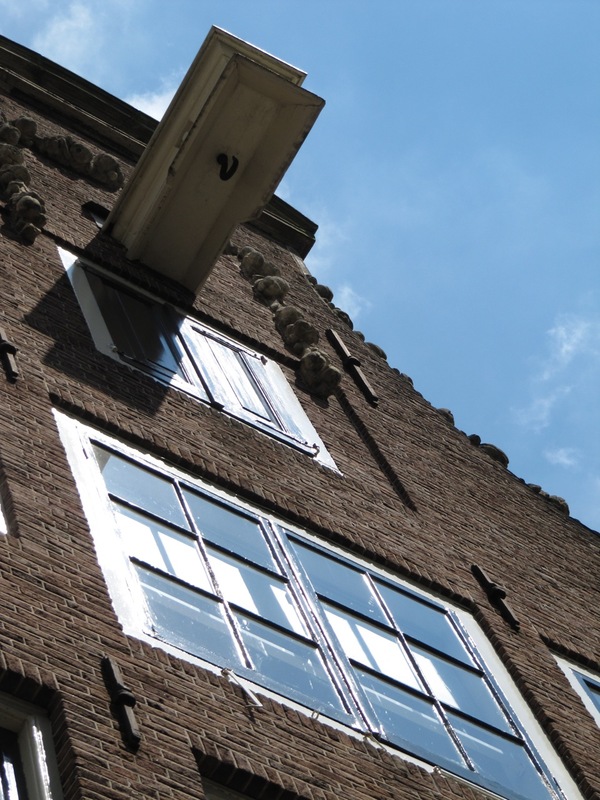 Top floor windows, Westermarkt 6. The Words in My Hand tells the story of the affair between Dutch maid, Helena Jans, and French philosopher, René Descartes. It is a story that was hidden at the time and almost entirely lost from history since.